When incorporating your company, aka setting up a limited company in the UK, you’ll need to provide Companies House with a registered office address. This is a legal requirement and the information will be held indefinitely by the UK government, who will also this address for their official correspondence. Why you’d want to change your Registered Office Address. Whether you’re a sole trader looking to incorporate your company, or a new business starting a limited company, it’s important that you understand where this information will be displayed and how to update your business information should you feel the need to change. Primarily, companies looking to expand, or going through change will want to amend their address to match their business demands, operations and needs. Business expansion, aligning your address with your development strategy. If your company is experiencing growth, you’ll need to expand your business operations and facilities to match the new demands. Regardless of if you’re moving out of your home into an office, or if you’re upgrading from an office to an entire building, the process and necessity of updating your registered office address remain the same. Companies House require you to update your contact information for the post they’re going to send you, and this isn’t the sort of mail you want to misplace. Want to know more about this serve? Change in business ownership? Change in registered address. Updating your registered address with Companies House after selling your business is an essential part of the process. Once the ownership and operations of your company move from one party to another, so should the correspondence. If you’re the new owner, make sure that the previous owner is not receiving confidential mail relating to your business. If your business is taking a new direction, then so should your mail. A change in business direction may mean new management, new premises or simply a shift in your operations. If you’re going through this process, take it as an opportunity to revisit your registered office address. You’ll have a good understanding of your long-term business goals and be able to make an informed decision on whether to amend the information Companies House hold on you. Moving away from your home address - privacy and professionalism. Many small businesses often use their home as the registered office address. This is a fantastic way for new companies to meet legal requirements without unnecessary expenditure. However, as your business grows, you should rethink whether it’s an appropriate move for both your business strategy and personal privacy. Registering your home address with Companies House means that this information will be displayed publicly. This leaves you prone to being contacted, either by mail or in person, by just about anyone who takes an interest in doing so. Equally, in order to be considered a legitimate, trustworthy business, your customers expect an address to match. 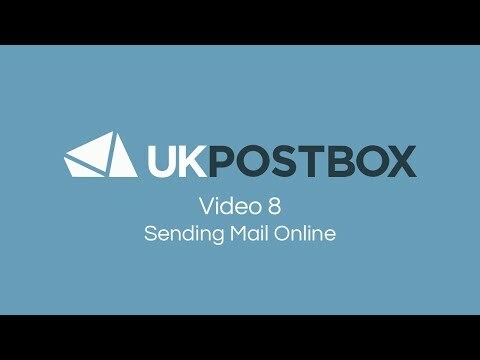 UK Postbox, the Registered Office Address that supports business growth, change and expansion. Throughout businesses life, you can expect many changes. The UK workforce is trending towards temporary workers as employees demand more flexibility within their life, making it difficult to retain long-term workers. The UK is also seeing yearly increases of ~4% of new business startups. The lesson here is that, at some point (and probably more than once), you’ll need to change your businesses registered office address. To avoid having to update this information with Companies House, organise mail redirection, and continually update internal information, you should consider registering your address with UK Postbox. The benefits of this mean that over the life of your business, you can register a single address, regardless of if you move premises. You’ll also be able to access your mail via our app designed for virtual mail management, which doubles down as a secure way to digitally store important mail - meaning you’ll never have to physically collect your mail again. We’ve been transforming the way businesses handle their registered office address for a very long time. Not only do we offer our service to make your life easier, but we’re also skilled in setting up businesses, so don’t be afraid to get in contact if you’re looking for some guidance. Understanding why a business would want to update their registered office address is important, but here’s how to actually get the job done. This process must be completed within 14 days of the registered address moving. 1. Evaluate whether your business will benefit from registering an office address with UK Postbox, or if you’re ready to commit to a new physical address. a. If you’d like to read further into the benefits we’re offering you, here’s our top 5 reasons businesses need a registered office address. 2. Complete an AD01 form, as requested by Companies House. Either submit your form electronically, or via post. a. Printed correspondence such as letterheads, brochures, reminders etc. e. Information held by your suppliers. 4. Take this opportunity to inform your stakeholders.